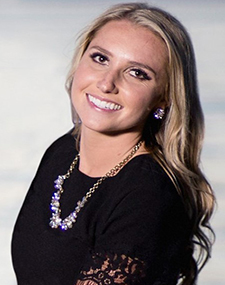 Kallie Rice is a Recruiting/Marketing Officer for the Huntsman School of Business at Utah State University. In 2016, Kallie graduated from Utah State University with a degree in Communication Studies and a minor in Marketing. During her time at Utah State, she participated in athletics on the varsity tennis team. With a combination of her personal skills and a passion for Utah State, she has immediately begun recruiting the best and brightest students for the Huntsman School of Business. Apart from work, Kallie loves teaching and playing tennis, traveling, being active, and spending time with her husband and family.